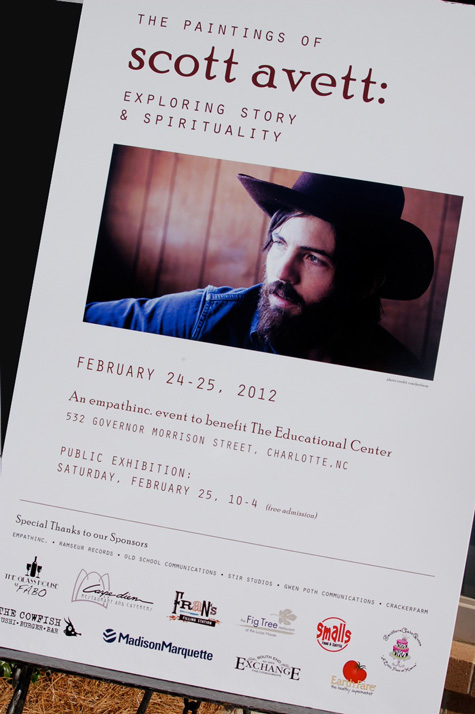 We enjoyed a very successful show with Scott Avett last month, entertaining hundreds of Avett fans and art lovers during the two days of our exhibition. 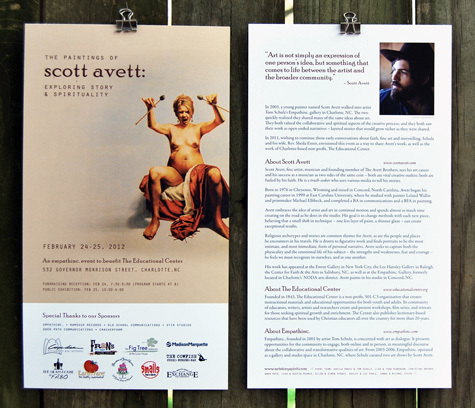 Here is the program created for the event (a 6x11, 2-sided card on heavy stock), and the poster that marked the entrance to the exhibition space. Both recognized the contributions of our many generous sponsors. One of our guests wrote this lovely summary of her experience Friday night. And Daniel deWit captured the beauty of the community spirit of this event in his video of our setup of the show.